I have been a Los Angeles County wedding minister for many years, and I have officiated weddings of all kinds, including civil wedding ceremonies and religious wedding ceremonies, all over Los Angeles County and Orange County in many Glendale Wedding Locations. Consider Anoush Banquet Halls, a wonderful Southern California wedding venue that you might consider for your wedding. Or if you are interested in a more casual wedding, give me a call and we can discuss the many options for your wedding location. 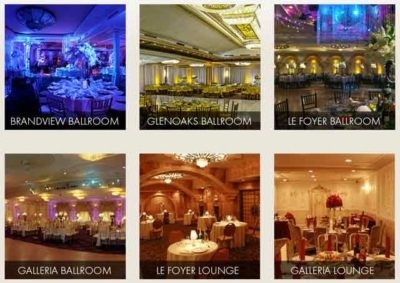 If you are looking for a Los Angeles banquet hall for your wedding, Anoush offers five different and beautiful banquet rooms await you in Glendale or North Hollywood with catered Mediterranean gourmet food. Your wedding will be a memorable event at any one of their locations. This Los Angeles wedding officiant appreciates the consistently wonderful catering which includes Persian, Lebanese and Armenian cuisine. If you are looking for a great wedding venue consider having your wedding ceremony at an Anoush ballroom brought to you by this Los Angeles Wedding Officiant.